artek was kind enough to give designboom a look at the finished exhibition with marimekko in tokyo we told you about last week. the exhibit featured a number of ‘art stools’ created by various designers and artist’s based on alvar aalto original 1933 design. 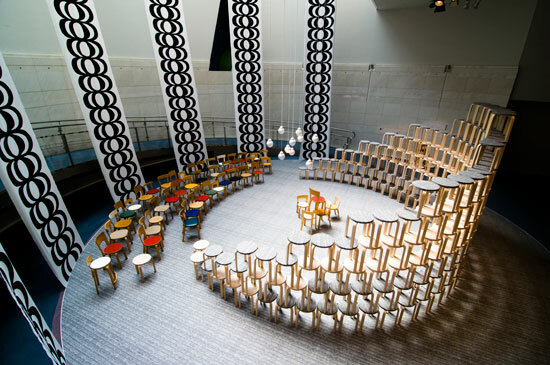 they also presented a specially designed milkbar and a new collection of marimekko prints. for more info, take a look a the original post linked below.